For those who live in a city or suburban area, there isn’t a thought about where their water comes from each day. There is typically a constant supply of water that can be tapped at any time. As you get further away from civilization; however, that becomes a different story. In fact, many homeowners rely on private water wells for their daily water requirements. 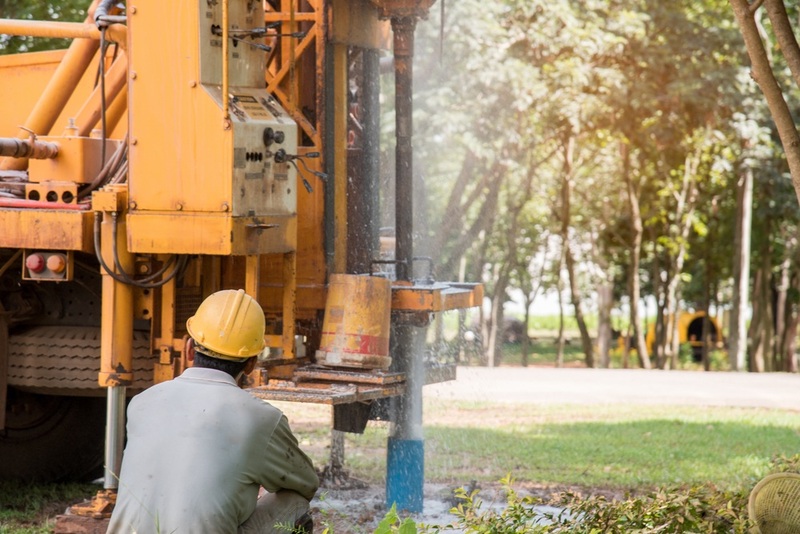 If you’ve recently moved into a home with a water well or are thinking of installing one on your property but are unsure of how they work, we’re here to help. Location is everything. Contrary to what some may believe, you cannot simply choose a spot at random and dig a well. There are regulations known as minimum isolation distances, which ensure your well is far enough away from your neighbor’s property and help prevent water contamination. Additionally, your well digger will take into consideration the location of powerlines, septic systems, and other underground infrastructure that could be disrupted. A water well is more than a simple hole drilled into the ground. In fact, they are made up of a system of different components to ensure reliable operation into the distant future. The well casing – In a residential capacity, a well casing is a pipe that extends the length of the hole in the ground, and acts as a nonporous liner to allow you to extract water from the ground while keeping contaminants out. It can be thought of as an oversized drinking straw. The well screen – If you live in a sandy environment, a well screen is a must. It attaches to the end of the well casing that is at the bottom of the well, and acts as a strainer to filter out fine particulates. Grout – When using a rotary method to dig a well, the resulting hole is larger in diameter than the well casing that fills it. In order to fill that leftover space, a mixture of cement, water, and clay is mixed and poured in. There’s only one way to get the water from the earth and into your home – with a pump. An average residential well pump system consists of a storage tank, adapter, and a pump. The pumping system also includes devices that ensure the pump runs when it needs to, automatically. When water is pumped from the ground into the storage tank, it compresses the air inside the tank. Once that air reaches a pre-set pressure, the pump shuts down. From the storage tank, a tap allows water to flow through pipes and into the home. Though they seem simple, constructing a well that will provide water for years to come is something best left to a team of experts. Here at Domer’s Inc., we pride ourselves on being a fourth-generation well drilling business, and have an extensive knowledge of the Okeechobee area. If you’re interested in adding a water well to your property, call us today at 863-763-3417 for more information.